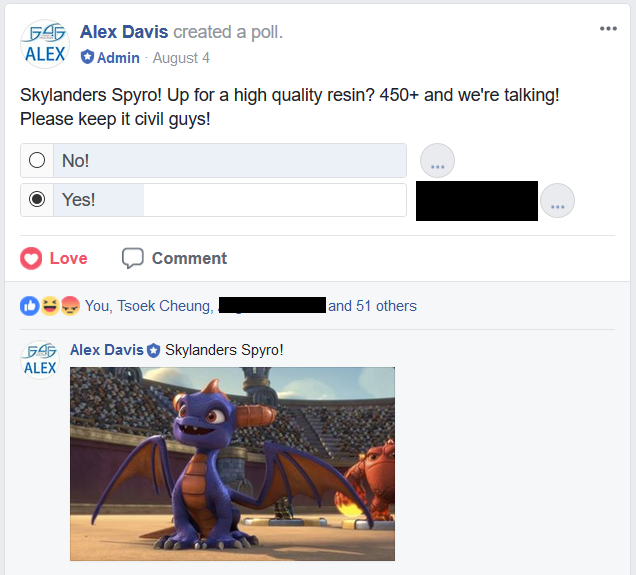 So, First4Figures recently opened a poll on their Facebook group page for fans to vote for a resin collectible statue (non-playable statue) of Skylanders Spyro. The poll is open forever, the no votes don't matter and reaching 450+ yes votes is the goal for those who are interested in the Skyro Statue. So, if you have a Facebook account, and if you're interested in buying/seeing a Skylanders Spyro statue, join the First 4 Figures Official Collector's Club first in order to vote.